Mediaweek editor James Manning and TV guru Andrew Mercado talk about all things TV in two new Mediaweek Podcasts available now. Listen to both podcasts on the Mediaweek Podcasts page, or subscribe here. 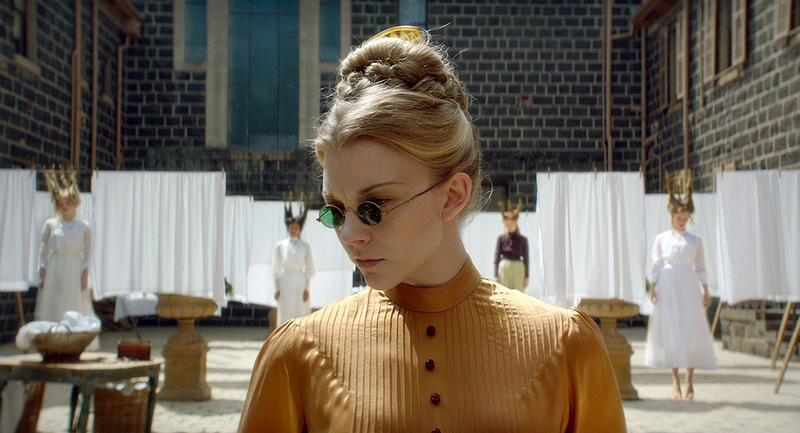 Mediaweek’s James Manning and Andrew Mercado are joined by FremantleMedia Australia director of drama Jo Porter for a special Picnic At Hanging Rock podcast. Jo covers everything from the initial pitch to the estate of author Joan Lindsay and the Foxtel, through to the casting and production. We ask lots of questions about Natalie Dormer and Samara Weaving and how the producers managed to secure two of the hottest stars to spend four months filming in Australia. Topics under discussion range from dramas like The Handmaid’s Tale, Instinct and Harry & Meghan: A Royal Romance (!) to reality series recently launched like House Rules and MasterChef. Andrew has an update on cast development at Home and Away and Neighbours while James has a problem with the robot cull on Westworld. Australia’s and the Asia-Pacific’s leading music company set a cracking pace as it learnt from the best in the business and celebrated its artists at its annual conference. 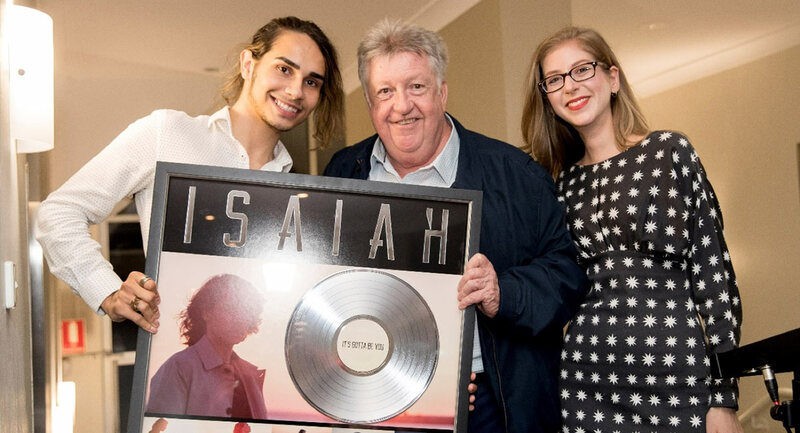 Terrigal on the NSW Central Coast has long been a favourite destination for Sony Music – taking the teams just far enough away from the Sydney music bubble. The main conference hall was packed at 9am with a solid 10 hours of sessions and artist performances each day before the action moved to the bar where delegates from Australia, the Asia Pacific region, the UK and USA and special guests enjoyed artist showcases. Mediaweek got an insiders look at the 2018 conference, which Denis Handlin, AO, Chairman & Chief Executive Officer of Sony Music Entertainment Australia and New Zealand and President of Asia, had branded “Directing change, not changing direction”. Handlin explained that the music industry is in an extremely exciting time with very solid global growth and that the Australian music market was up 10% last year while the Asia Pacific region as a whole is forecast to grow by approximately14% this year. Handlin emphasised the importance of having the right people in the business, talked about some recent recruitments (some of which are not public yet) and then announced 22 internal promotions across the region reflecting the strength of the Sony Music team. The first of two days of insightful sessions was a songwriting master class. Sony Music revealed that it had just finished negotiations to sign singer/songwriter Conrad Sewell. Handlin joked the artist had come close to asking for an AVO as he persevered to secure his signature on a contract. After performing three songs including his forthcoming brilliant single, Sewell took part in a songwriting discussion session with Jamie Hartman. The UK-born and now LA-based leading songwriter co-wrote Rag’N’Bone Man’s international hit “Human”. Sewell and Hartman spoke about working together in Los Angeles and what it takes for the magic to happen. A suggestion from the audience saw them live workshopping a song about change. It started to sound pretty good, very quickly. “I hope someone is recording this,” joked Hartman. He also spoke about spending time with John Farnham in Melbourne recently. Even though he is not co-writing with Farnham, Hartman said it was important to spend time with him to get to know more about the artist to shape the songs he will write for him. Unified Music presented an update on what was happening within the Melbourne-based global music group. Founder and CEO Jaddan Comerford was in the US with artist Vance Joy and sent a detailed video presentation. 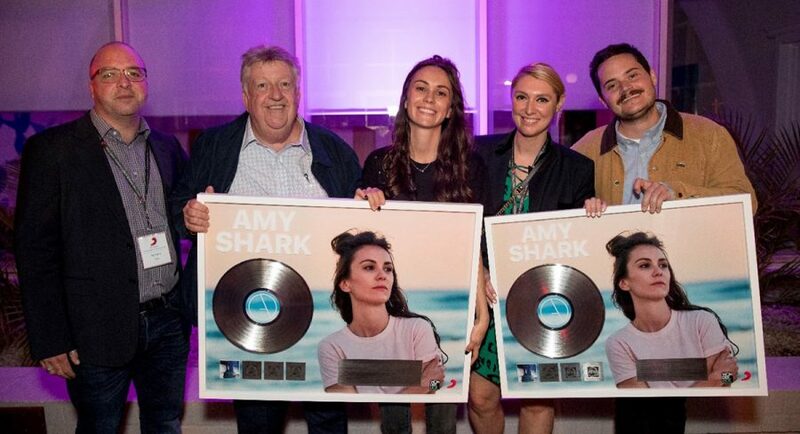 Sony Music’s Amy Shark, managed by Unified, performed on the opening night of the conference including her new single “I Said Hi”. 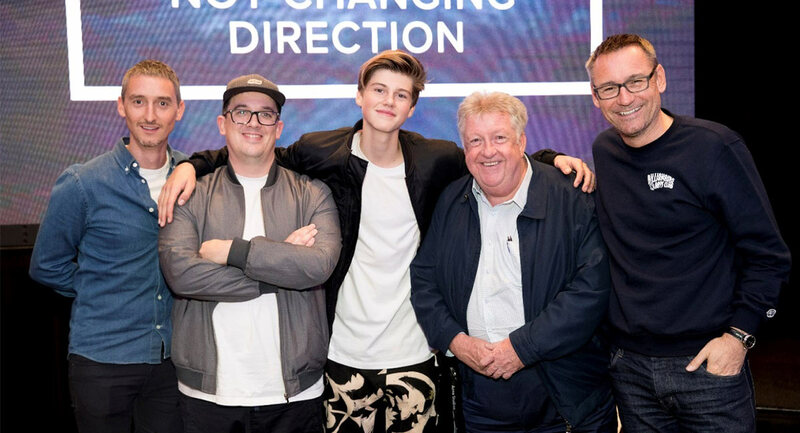 President of music label Eleven and former Sony Music executive John Watson gave a presentation drawing on his years in the business that featured his top 10 tips for success in the sector. Watson remembered it was at this Central Coast Sony Music conference where he spent his first day at the company and that one of his first projects was to promote the MiniDisc format in Australia. Watson recalled his days managing Silverchair and how they tried to buy all the photos of the band to stop them being promoted as a poster band. Watson’s Top 10 tips included be creative, push the boundaries, listen, tune in to what is being said, be insightful, relentless and collaborative, develop authentic relationships, and think globally. Another key conference session featured some of the stars managed by Parade Sports Management, one of the newer divisions with the Sony Music Australia business. The division doesn’t just manage sports stars, it also looks after Fairfax Media’s Andrew Webster. The chief sportswriter for The Sydney Morning Herald hosted the sports session with guests Mal Meninga, Alex McKinnon and Mitchell Pearce. Former Queensland Origin coach and current Kangaroos coach Meninga spoke about leadership, team building and making the transition from playing to coaching. He told Webster he faced a big challenge taking on the Queensland team in 2006. His team lost the first of the three-game series that year, but then turned things around to win the series and then win the next seven series too. The conference featured many artist showcases, including Delta Goodrem’s performance Tuesday afternoon with two songs from the forthcoming soundtrack to the Olivia Newton-John: Hopelessly Devoted To You miniseries being released this week: “I Honestly Love You” and the title track, which was featured in Grease, “Hopelessly Devoted To You”. Goodrem sounds better than ever after seven seasons working as a coach on The Voice, where her artists have won the two most-recent seasons. She remembered at conference how she first signed to Sony Music in 2000 when she was just 15. She also talked about signing on to the Seven miniseries produced by FremantleMedia Australia. Speaking with Sony Music exec Ken Outch, Goodrem originally said no to the series as Olivia expressed doubts early on, later changing her mind. A video of Delta and Olivia recording “The Gift” together in Los Angeles, which also appears on the album, was also screened. Three presentations from the international teams on new music and strategy started with Jen Mallory (EVP, International Sony Music Entertainment), Afo Verde (Chairman & CEO, Latin Iberia, Sony Music Entertainment) and Jason Iley (Chairman & CEO, Sony Music UK & Ireland) showcasing an exciting menu of new releases including, from the UK, George Ezra and Tom Walker and, from the US, LSD, the supergroup of Diplo, Sia & Labrinth, Christina Aguilera, Travis Scott, A$AP Rocky and the Deadpool 2 soundtrack. Verde delivered a fascinating look at the Latin America market which boasts a population of 700m+ with territories including Spain, Mexico and countries across South America. One of the hottest tracks this year has been “Hey DJ” from CNCO, a group put together by Simon Cowell. There is also a “Spanglish” version of “Hey DJ” released internationally. Also tearing up the charts and breaking streaming records has been the collaboration between Shakira and Maluma. Brad Navin, CEO of The Orchard, hosted a session profiling the growing business and its unique offerings to labels and artists that have been part of Sony Music for three years. The Unified presentation was delivered by Luke Logemann (Chief Creative Officer) and was followed by a performance from their new artist Didirri. The very busy Gunnar Greve took attendees through the Liquid State JV that partners Sony Music and Tencent launched earlier this year. Only 12 weeks old, the label has some seriously good releases to come, including with Alan Walker, K391, Corsak, Enzo Ingrosso and Junkilla. Walker has been a huge hit in China where he dominates the electronic music scene. He was a surprise guest at the closing showcase on Thursday night, having flown to Australia for his first time here for the gig. 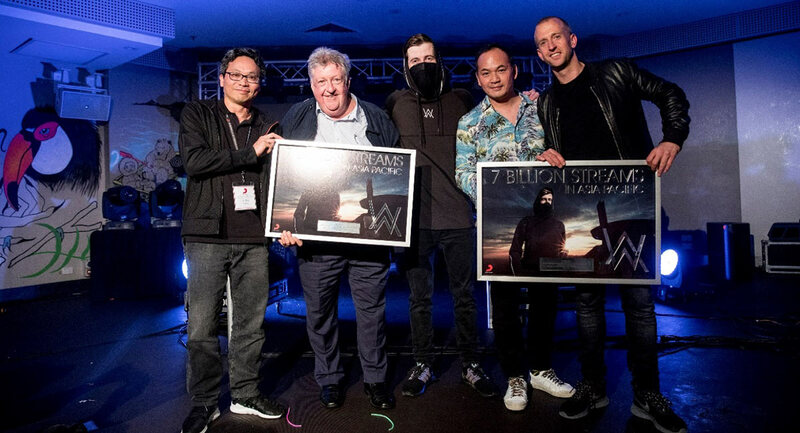 At the end of his set Handlin presented Walker with a plaque recognising an incredible 7 billion streams in Asia Pacific. Andy Ng (Group VP Tencent Music Entertainment) was also a guest at the conference, talking about the new Liquid label and extensive business reach and innovations from internet giant Tencent. Sony Music has always had excellent relationships with media companies and partners with channels and programs in the supply of artists to perform music for programs and promotion. One thing that Denis Handlin and his team have been wanting is a successful late night show that could feature live performances. Handlin announced a new collaboration with a program partner for an evening night show featuring music performances with the details to be revealed shortly. One of the most anticipated sessions on day one was from Endemol Shine Australia CEO, Mark Fennessy, who updated conference guests on the latest in the TV sector and offered a glimpse on some forthcoming company productions. “It’s all about the content,” said Fennessy, who commented on the continued disruption of the FTA model, the impact of technology and the growth of new and emerging platforms, the importance of brands, the golden age of drama and the growth of the booming non-scripted genre. 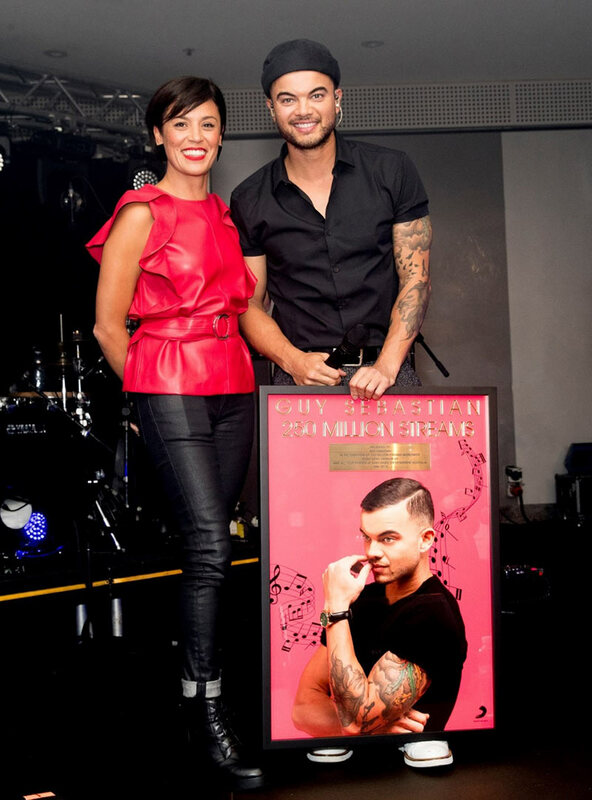 He teased the audience with a few details about a couple of new projects including the forthcoming singing show All Together Now, which is heading to Seven with Julia Zemiro hosting, as well as previewing some exciting new scripted projects including a gritty teen drama jointly developed with Sony Music. Dami Im performed a short two-song showcase late on day one, which featured her wonderful work on the piano. She covered “Feeling Good” and “Autumn Leaves”, two tracks from her recently released “I Hear A Song” album. Day two conference sessions included guest speakers and presentations from streaming music giants Apple Music and Spotify. 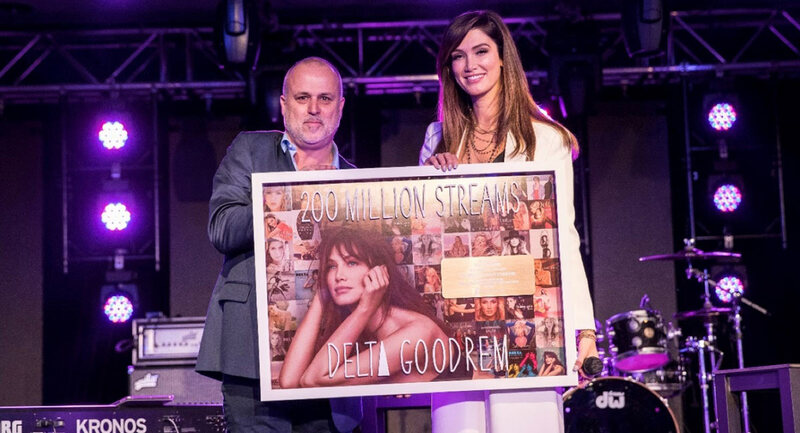 A&R executives from Australia, Asia and New Zealand presented a host of new music releases and Leigh Gruppetta and Stu Harvey presented the Cooking Vinyl label. The last night of the conference saw a special staff awards dinner at the Reef Restaurant, recognising 10, 20 and 25-year service awards as well as Handlin’s annual Chairman’s Special Recognition Award which was presented to Ken Outch. 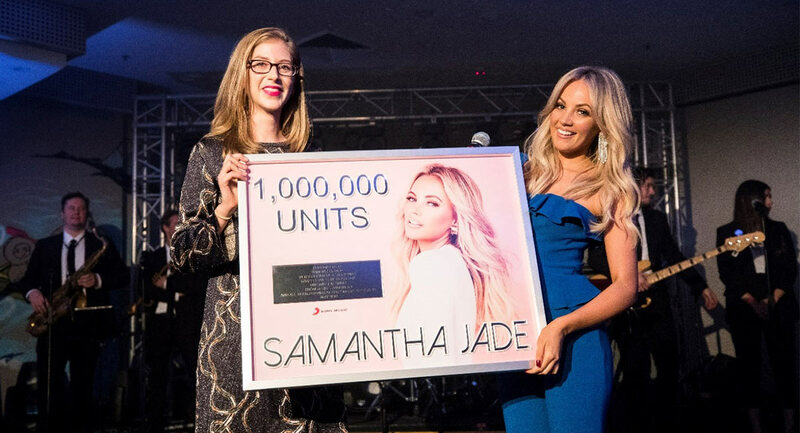 Other performances across the three evenings of music included Amy Shark, Daryl Braithwaite (who shared the closing bill with Alan Walker), Ruel, Joy, Maddy Jane, Robinson, Teeks, Grace, Morgan Bain, Guy Sebastian and Samantha Jade. News Corporation has reported its financial results for the three months ended March 31, 2018. A conference call after the release of the results was hosted by Robert Thomson (pictured above) and chief financial officer Susan Panuccio. 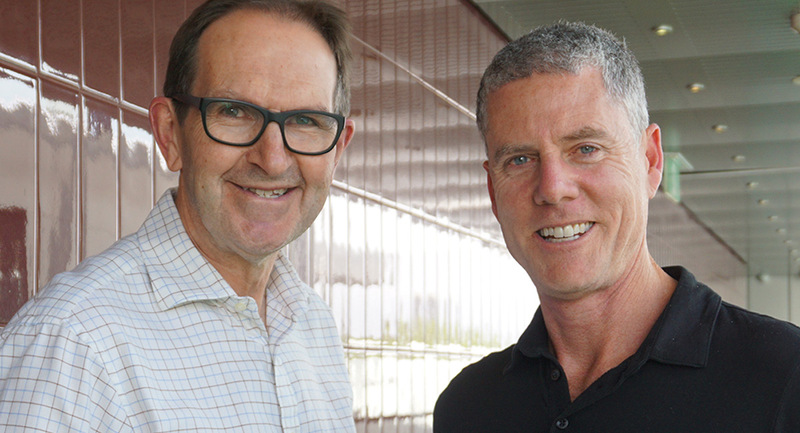 Both the News Corp executives spoke about the recently completed Foxtel-Fox Sports merger with Thomson commenting on Foxtel’s compelling offering and the work being undertaken on an improved viewing experience. Panuccio talked about investment being made on the next generation set-top box, which would replace the iQ3. News Corp noted OTT delivery would be key to growth and that a new IP-only product is being developed for younger consumers. One analyst asked about Rupert Murdoch and his current role in the business. Commenting on the results, Thomson said the company had reported its strongest growth in all sectors since the “new” News Corp was launched. “We finished the fiscal third quarter with strong revenue growth, led by outstanding performances at our Digital Real Estate Services and Book Publishing segments. Revenues this quarter improved by 6% and are up 4% for the first nine months of this fiscal year. “We welcome Foxtel to our corporate family. We believe the company is uniquely positioned, given its potential in a rapidly expanding OTT market, with unrivalled sports offerings and premium entertainment and news content. From the fourth quarter, the combination of digital real estate services and pay-TV businesses will account for more than half of our profits and significantly increase recurring subscription-based revenues. “The third quarter once again highlighted the strength of our global digital real estate platform. The segment posted robust 27% growth in revenues, as both REA Group and realtor.com benefited from product innovation and higher yields while becoming more holistic sites for home buyers and sellers. 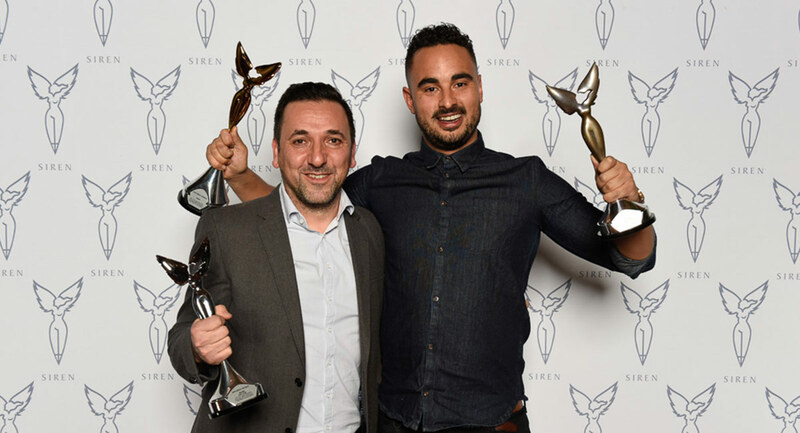 The best Australian radio ad of 2018 as judged by the Siren Council, comprising creative directors and producers from advertising and creative agencies and studios across Australia, was announced in Sydney last night. 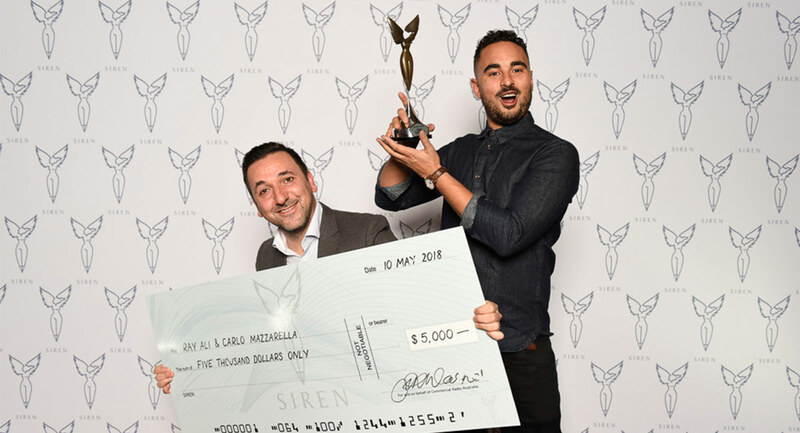 Ray Ali and Carlo Mazzarella (pictured above) from Clemenger BBDO Melbourne won Gold and Silver at the Siren Awards with an ad about anxiety for mental health advocacy group beyondblue. The ad completed a trifecta by also winning the Client Award, a $5,000 cash prize, which is judged by a separate panel of clients rather than agency creative directors. 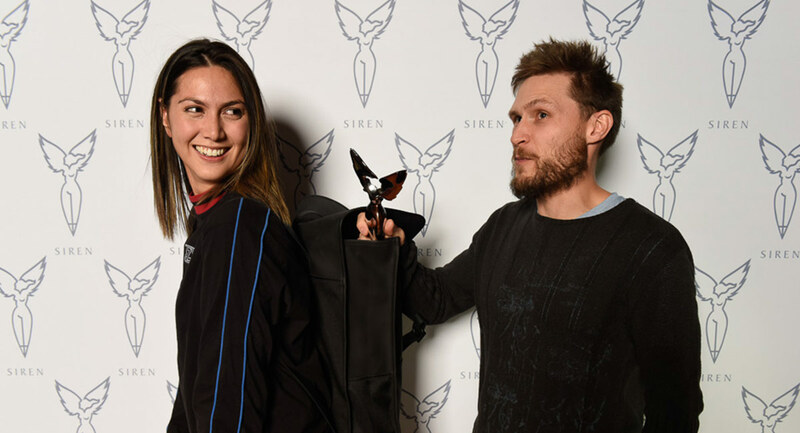 The awards were presented at an event hosted by comedian Cam Knight and attended by creative writers, directors and producers from leading creative agencies and executives from the radio industry. InStyle together with Audi this week hosted the 10th annual InStyle and Audi Women of Style Awards in Sydney. Attended by over 200 guests, the Awards celebrated a decade of remarkable achievement with 10 awards presented to trailblazing women and female partnerships for their remarkable drive and dedication across varied industries. Seven’s Melissa Doyle returned to host the event, held this year on the ground floor of Sydney’s Museum of Contemporary Art. InStyle editor Emily Taylor said, “The InStyle and Audi Women of Style Awards celebrate style in many forms. 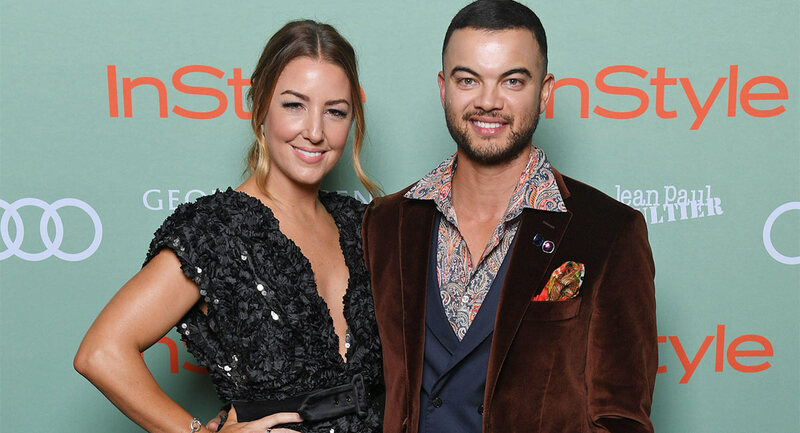 Guests at the red-carpet award ceremony in Sydney, included: Delta Goodrem, Layne Beachley & Kirk Pengilly, Jesinta Franklin, Sally Obermeder, Marta Dusseldorp, Michelle Bridges, Elyse Knowles, Pip Edwards, Terry Biviano, Kylie Gillies, Anna Heinrich, Genevieve & Alexandra Smart, Cheyenne Tozzi, Victoria Lee, Jess Gomes, Amy Pejkovic, Sam Frost, Megan Hess and Carla Zampatti. Executives from Pacific attending with CEO Gereurd Roberts included marketing director of fashion and beauty Susie Hogan, commercial director Nicole Bent and circulation director Mychelle Vanderburg. Seven was supporting its sister business with a big group from the news division at Martin Place led by Kylie Gillies and Sarah Stinson. All honourees were selected by InStyle and the Women of Style Awards judging panel, which includes: Nicole Kidman, actress and UN Women Goodwill Ambassador; Deborra-lee Furness, actress and human rights advocate; Collette Dinnigan, fashion designer; Layne Beachley, entrepreneur and environmental campaigner; Elizabeth Ann Macgregor, Director, Museum of Contemporary Art, Australia; Pip Marlow, Managing Director, Microsoft Australia; Gillian Armstrong, film director; Louise Olsen, designer, artist and Creative Director, Dinosaur Designs; Emily Taylor, Editor, InStyle; Anna Burgdorf, General Manager – Corporate Communications, Audi Australia; Cassandra Kelly, Chair, Pottinger and Dame Quentin Bryce, Lawyer, Academic and Advocate. The winners are profiled in the June issue of InStyle now on sale. 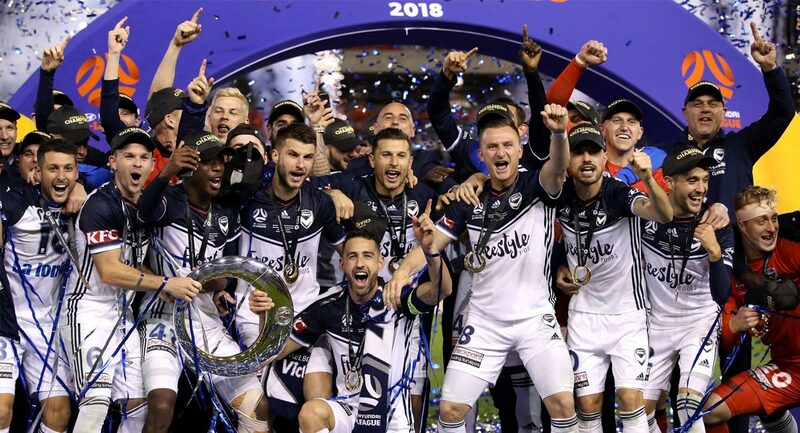 Telstra and Football Federation Australia (FFA) have announced a five-year mobile rights and sponsorship agreement, with Telstra securing the live mobile rights for football until 2023. Under the deal, Telstra will create and launch the new My Football Live app with live matches available via the Telstra Live Pass for existing Telstra mobile customers. “We are the home of live Australian sport on-the-go, and on our brilliant network we are committed to making games available live, fast and data-free to as many Telstra customers as possible,” said Pollard. “We offer live streaming of every game of the AFL, AFLW, NRL and Netball seasons, on the leading mobile network in the country – and football is now joining the family. Adding the My Football Live app gives our customers a summer offering to complement the existing AFL, AFLW, NRL and Netball Live apps that are created by Telstra,” she added. Telstra’s sports product team is currently working with the FFA to design and build the My Football Live app and will launch this with regularly updated Caltex Socceroos editorial content and player profiles in time for the Socceroos journey to Russia in June. The My Football Live app will include live streaming and full match replays of all Hyundai A-League games, which will be made available as a live, fast and data-free inclusion for Telstra mobile customers. In addition to Hyundai A-League games, the app will offer customers and Live Pass holders select FFA Cup, Westfield W-League, Caltex Socceroos and Westfield Matildas games, including Caltex Socceroos home friendlies and early round Asian Cup and 2022 FIFA World Cup qualification games. The app will be free to download, with live matches being unlocked via the Telstra Live Pass. This live, fast and data-free inclusion will be available to all Telstra mobile customers. Non-Telstra customers can purchase a $99.99 annual Live Pass, $16.99 monthly Live Pass or a $4.99 weekly Live Pass. 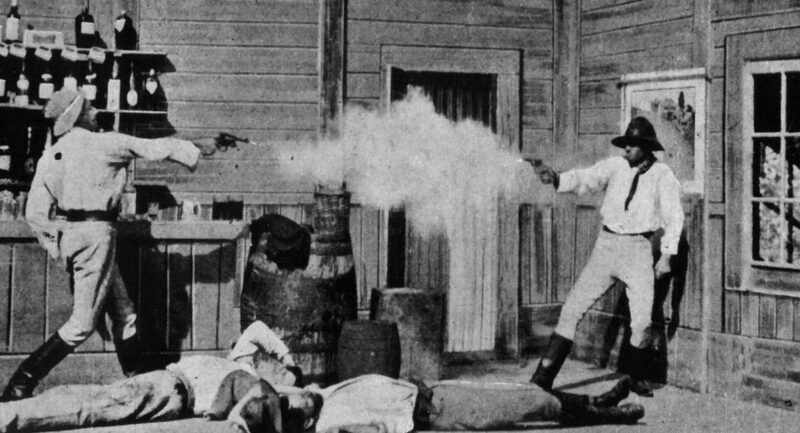 The success of 1906’s The Story of the Kelly Gang set the tone for a never-ending stream of Aussie biopics, because most are true crime recreations, with Ned Kelly getting 10 more movies over the years (and another two are in pre-production). Television became obsessed with bad guys, but it also added to the mix iconic Aussie entertainers. TV1 kicked it off in 2007 with The King (and Stephen Curry won an AFI for playing Graham Kennedy) but then the ABC got massive ratings for 2011’s Paper Giants: The Birth Of Cleo (and Asher Keddie walked away with a Logie and an AACTA for portraying Ita Buttrose). Ten had Hawke (2010) and Brock (2016) while Nine stuck to sport and the filthy rich (House of Hancock, House Of Bond, Power Games: The Packer-Murdoch Story and Howzat). But it was Seven who had a clean sweep of blockbusters with INXS: Never Tear Us Apart (2014), Peter Allen: Not The Boy Next Door (2015) and Molly (2016). Then came Hoges (2016), but when it stumbled with less than half the audience of the others, the cry went up around the nation that the Aussie biopic was finished. However, Seven already had another one under way and this weekend Olivia: Hopelessly Devoted To You finally airs after six months of promos. Given Hoges suffered from an unfortunate promo that featured a bad Crocodile Dundee imitation and an even worse wig on Josh Lawson, Olivia got a better promo. 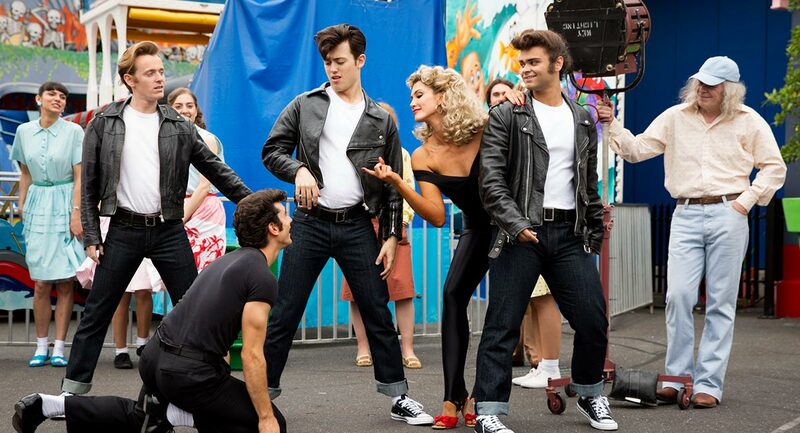 With a much better Grease recreation and Delta Goodrem looking spookily like Olivia as slutty Sandy, it seemed like this could be “The One That I Want”. And it mostly is, although given the nonstop promos all about Delta, it is a surprise to discover that another actress plays Olivia in the early years. 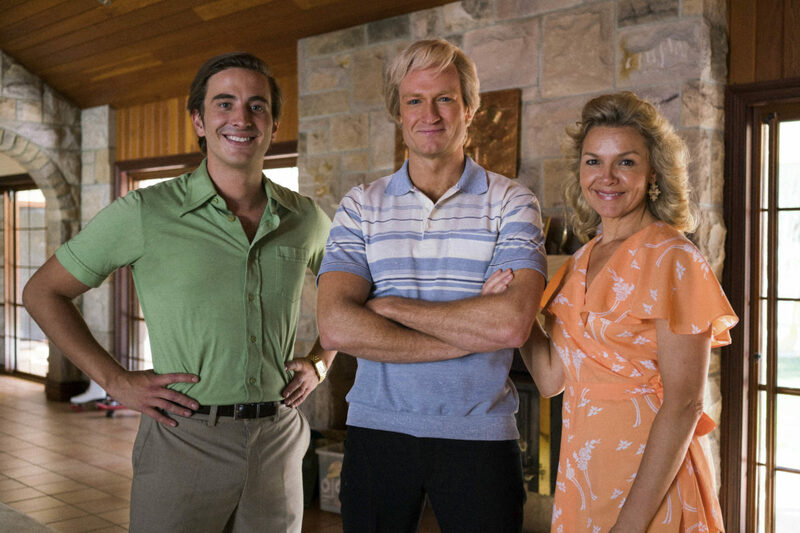 And just like Sean Keenan, who was spot-on as Paul Hogan until Josh Lawson took over, Morgan Griffin is good too as young Olivia. She nails Olivia’s speaking voice and giggle until a clunky mid-Atlantic transformation, when young Olivia flies out of the UK and lands in America now being played by Delta Goodrem. Physically, Delta is much taller than Olivia (and this is never more apparent than when she is towering over John Travolta – and you only need to have seen Grease once to realise this was never the case, even with high heels). Luckily for Delta though, she disappears into Olivia much more convincingly when she sings, and her cover versions are incredibly reminiscent and respectful of the original songs. The best part of this miniseries is learning about Olivia’s early career. Most of us know the basics, but it will be revealing to many to discover the early setbacks and the lovers who disastrously doubled as managers. Part two will get into the juicy stuff we remember more (Xanadu, “Physical”, Koala Blue and the Lattanzis) but it’s the first part that will have Seven execs in a sweat waiting for the ratings to come in. Whilst The Chloe Lattanzi Story won’t be coming next, there is one more biography that has to be made. Given both of Jimmy Barnes’s memoirs have been the bestselling non-fiction books in Australia over the past two years, it is inevitable that someone will bring his story to the screen. Let’s see if it gets grabbed by TV or a streaming service. The new Malaysian owner of the formerly Australian-owned Phnom Penh Post, Sivakumar S Ganapathy, found himself under attack on the very first day of ownership by a strident and at times incorrect article condemning him and his activities in the very newspaper he had just purchased. Particularly galling apparently was that his name was spelled incorrectly. The upshot of the ill-advised article was that the journalists who wrote it exited and the editor-in-chief was fired. This in turn triggered a walkout of all foreign reporters, followed by a flow of international coverage that translated the saga into a Cambodian government attack on the last vestiges of media freedom. It was certainly a difficult day for the newly installed editor-in-chief Joshua Purushotman, (one Post journo reported his name as Joshua Purea) the former executive editor of Focus Malaysia, which itself was sold in February, with only one third of the staff retained. SMX will be extending the cooperative to other premium publishers, and said there is already keen interest from other publishers seeking alternative means to monetise their traffic. The Jack Ma-owned South China Morning Post was the biggest winner at the recent 17th Asian Media Awards night in Bali as part of WAN-Ifra’s Publish Asia conference. The Hong Kong media outlet took home three gold awards and two silvers. Winners were chosen from 435 entries from 58 Asian and Middle East companies in 19 countries. Malaysia’s New Straits Times won three awards, and rival outfit The Star media group won one award. The Bangkok Post Group hopes to boost its business by moving more into digital publishing and event organising. 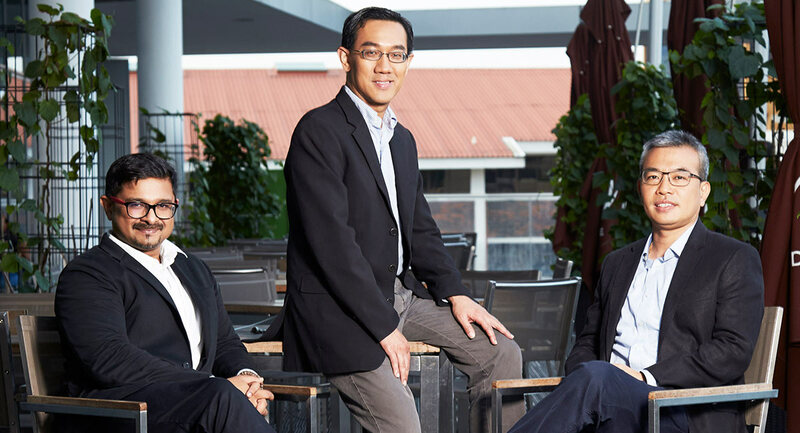 Chairman Suthikiati Chirathivat said the company will leverage its strength as Thailand’s leading news and content provider to actively push for new revenue streams from digital business, event organising and partnerships with other leading companies. In addition to the Bangkok Post, the group publishes the Thai-language business newspaper Post Today, the free-sheet M2F and the magazine S Weekly. The group also publishes an international magazine range, including the Thai editions of Elle, Elle Men, Elle Decoration, Cleo, Science Illustrated and Forbes. With focus now on digital media, the group is consolidating its titles. The group closed marie claire and discontinued the licence agreement for Cycling Plus last year due to deteriorating sales. It also merged Elle Men with Elle, and Elle Decoration was made a bimonthly magazine. The Washington Post has appointed Singapore-raised Shibani Mahtani as its new Southeast Asia correspondent, although she’ll actually be based in Hong Kong. 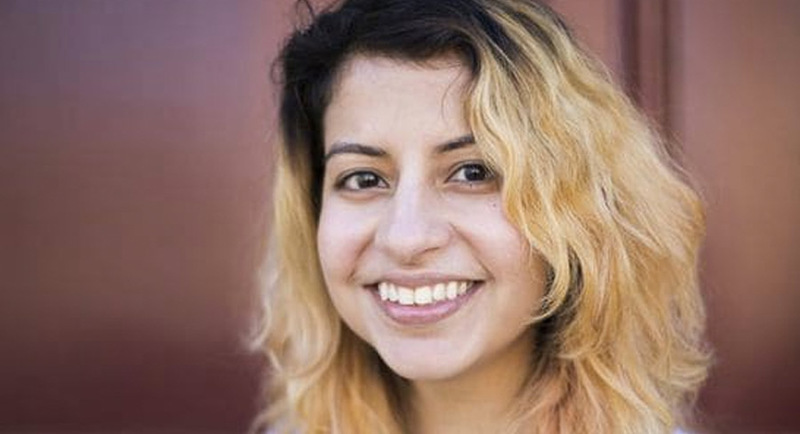 For the past 18 months, she has worked at The Wall Street Journal’s Chicago bureau. Shibani said, “Thrilled to work with the Post’s incredible Asia crew, full of power women. So exciting to see how female-heavy the Post’s Asia team is.” She starts work with the Post on May 21 and will move to Hong Kong in mid-June. 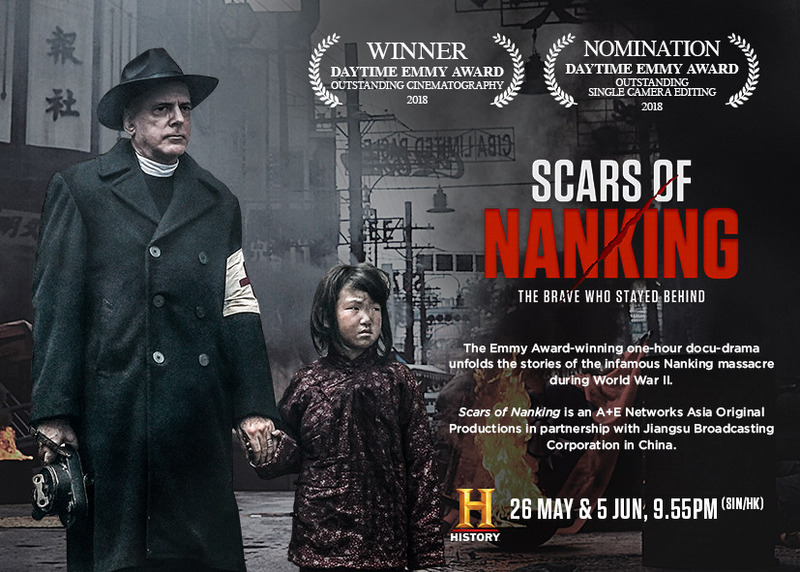 A+E Networks’ first international co-production with China’s Jiangsu Broadcasting Corporation, the documentary-drama titled Scars of Nanking, won the Daytime Emmy Award for Outstanding Cinematography at the 45th Annual Daytime Emmy Awards. It was also nominated for outstanding Single Camera Editing at the awards. The one-hour docudrama premiered in December last year on History in the US, History Asia and simultaneously on Jiangsu satellite TV in China. An encore telecast, marking the 80th anniversary of the brutal Nanking Massacre by Japanese invaders during World War II, is scheduled for May 26 and June 5 on History Asia channel. Indonesian ride-sharing company Go-Jek is turning up the throttles on its content creation business with a new creative unit, Go-Studios. Michy Gustavia, Go-Jek’s senior vice president or acquisitions and development, revealed details of the new studio during the Asia Pacific Video Operators Summit in Bali, saying that the company wants to nurture individual talent and filmmakers and promote Indonesia and Indonesian content. Last year, Go-Jek worked with Vice on a sports doc series, Underdogs, which focused on athletes rising above poverty and prejudice. Now Go-Jek and Vice Indonesia are developing a film, When We Dance, directed by Joko Anwar and to be released by the end of 2019. Malaysian media company Media Prima has announced that its subsidiary, The New Straits Times Press, and other shareholders of Malaysian Newsprint Industries, have agreed to sell their entire stake in the newsprint company to Asia Honour (Hong Kong) Ltd. According to media reports, Malaysia Newsprint has incurred losses for the past three years and faces more challenges with declining newsprint demand. The company was established in 1996 as a joint venture between Hong Leong Group, a conglomerate based in Malaysia, Norwegian paper company Norske Skog, New Straits Times Group, and Rimbunan Hijau Group, a large Malaysian multi-industry company. Thai ad spend for the first quarter dropped 6.86% YOY to Bt24.69 billion (A$1billion), according to a Nielsen report, while the March spend was down 6.5%. Ad spending during the quarter continued to increase for digital TV, which was up 21.2%, radio, which grew 1.7%, movies, which were up 9.5% and outdoor media up 9.8%. Several media segments saw ad spend dwindle during the quarter with traditional TV channels down 18.7% and cable and satellite stations down 26.60%. As usual, print got hammered with ad spend for the quarter down 28.9% for newspapers, and 37.8% for magazines. 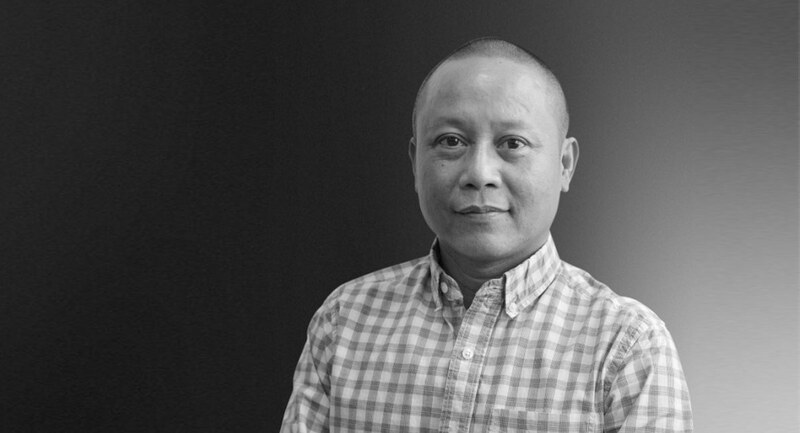 • The Human Rights Press Awards has appointed Myanmar media pioneer U Myat (Sonny) Swe as the keynote speaker at the May 12 awards ceremony at the Foreign Correspondents Club in Hong Kong. In 2000, Sonny, together with Perth’s Ross Dunkley, co-founded the part-Australian-owned Myanmar Times. For his trouble, Sonny did an eight-year-plus prison stretch, ostensibly for bypassing censorship regulations. • Turner Asia Pacific last month appointed Vikram Sharma as vice president of Cartoon Network Enterprises, its regional licensing and merchandising division. Before joining Turner, Sharma worked for Disney in Asia, including Singapore and India. • The Asia Pacific online video industry is set to more than double its share of video industry revenues from 9% in 2017 to 20% by 2023, according to Media Partners Asia research. • Korean TV manufacturer LG Electronics plans to partner with several Hollywood studios to boost content for its 3D TVs, and is talking with Paramount, Fox, Sony Pictures, Walt Disney, Universal Studios and Warner Brothers. • To mark last week’s World Press Freedom Day, Thai media associations called on the government to revoke its announcements and orders limiting press freedoms. In turn, the government said its orders do not affect “honest” media but only those that present distorted news to panic people or affect peace and order. 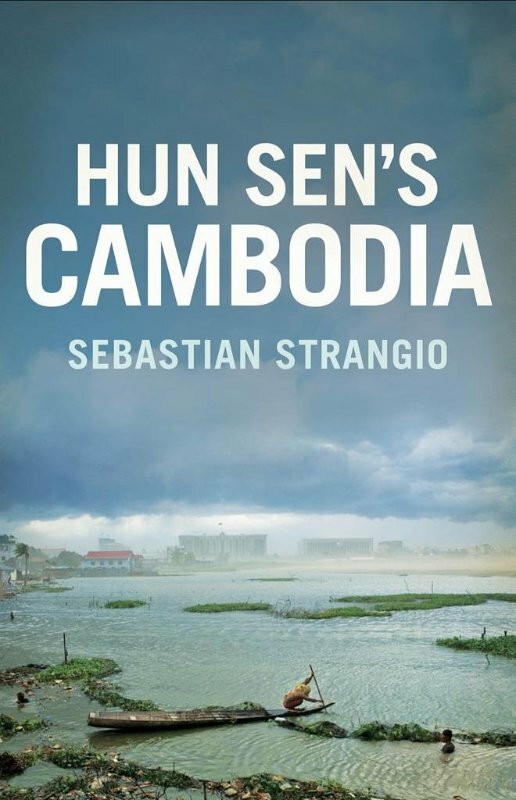 Just over 10 years out of Melbourne Uni, journalist, author and expert commentator Sebastian Strangio has carved out a thriving niche as a Southeast Asian media maven. “Since 2008 I have established myself as a leading writer on events in the region, and my articles have appeared in publications including Foreign Policy, The Atlantic, The New York Times, The Economist, Nikkei Asian Review, Al Jazeera, Forbes Asia, The Diplomat, etc,” he says on LinkedIn. He’s also a leading commentator on politics in Cambodia and Myanmar, and his views have been quoted by major media outlets. At Melbourne University, Strangio was one of four co-editors of Farrago, together with Jessica Friedmann, now an author and editor in Canberra, Jonathan Brent, and Gillian Terzis, now both content strategists at Facebook in San Francisco. 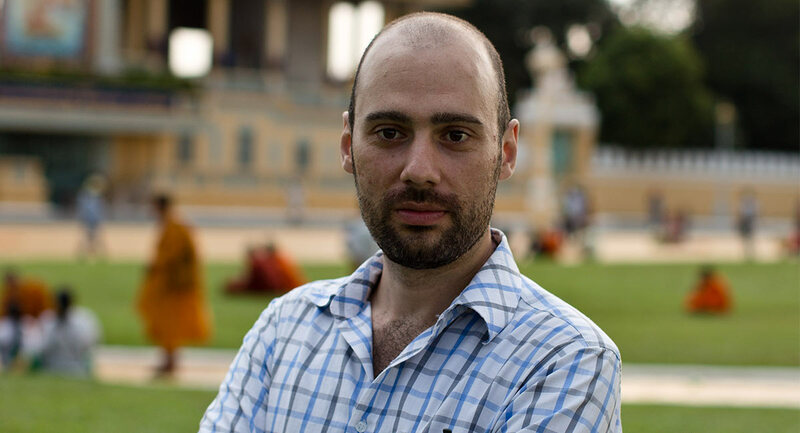 Having finished university in December 2007, Strangio headed to Cambodia and in March 2008 signed on at the Phnom Penh Post as sub-editor and reporter, then became deputy news editor in 2010, then left the Post to go freelance in 2011. Strangio was initially drawn to Southeast Asia after holidaying in Vietnam and Laos in 2003. “I became interested in Indochina and began reading a lot of about it,” he told Mediaweek. “That drew me into the subject. Cambodia recommended itself because, unlike Vietnam and Laos, it had a free English-language press and hence greater opportunities for aspiring young journalists. While Strangio thrived in the job at the Post for three and a half years, freelance called. “After a few years in the churn of the daily news cycle I had become tired, and was eager to get out and stretch my wings as a journalist,” he says. “In my last year at the Post, I had made reporting trips to Bangladesh and Thailand, which whetted my appetite for the freedom of freelancing. “After a year or so of freelancing, I planned to pursue work with a newspaper, or with one of the wire services, and even interviewed for a couple of positions. But I was reluctant to forego freelancing, which was enabling me to read and travel widely on my own schedule. “By the time I started seriously seeking out a full-time position, I was offered the contract to write Hun Sen’s Cambodia, which took me in a new direction. Since September 2016 he’s been research affiliate at the Carolina Asia Center at the University of North Carolina, focusing on contemporary Southeast Asian politics and the political and economic effects of China’s rise in the region. There’s also a new book in the offing, again to be published by Yale and tentatively titled In China’s Shadow, which will look at the ways Chinese power is transforming Southeast Asia. In August, he will move back to Southeast Asia, to Chiang Mai, Thailand with his family, to finish researching and writing the book. No doubt, more freelance journalism will emerge. Summing up his journalism career, Strangio ducks the tag of meteoric rise. The final episode of Home and Away this week dropped only a little – after three nights around 700,000, the fourth episode did 674,000. House Rules didn’t have a great debut week as the final of four episodes screened did 567,000. The viewers weren’t the only people underwhelmed by the new season – Mediaweek’s Andrew Mercado was harsh in his assessment in the new Mercado and Manning TV podcast out today. The Front Bar did 252,000 across three markets with 183,000 in Melbourne, close to The AFL Footy Show in that market on 185,000. After three strong nights, the A Current Affair audience lowered to 785,000. Live NRL did 468,000 across the metro markets on Nine and Gem with 252,000 in Sydney and 170,000 in Melbourne. The Footy Shows did 414,000 with 103,000 in Sydney and 185,000 in Melbourne. Keith Urban was promoting his new album on The Project with 546,000 watching. 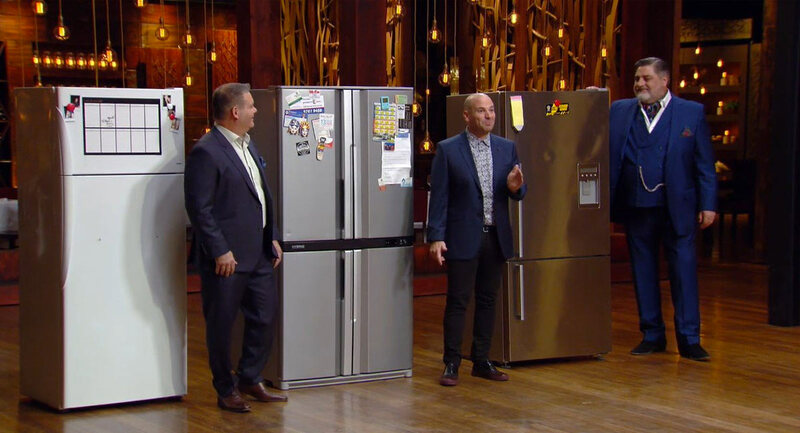 MasterChef featured a fridge challenge – with three fridges being brought in from contestants’ homes! The first three competitors facing elimination had to cook a dinner party dish from whatever was in those fridges. 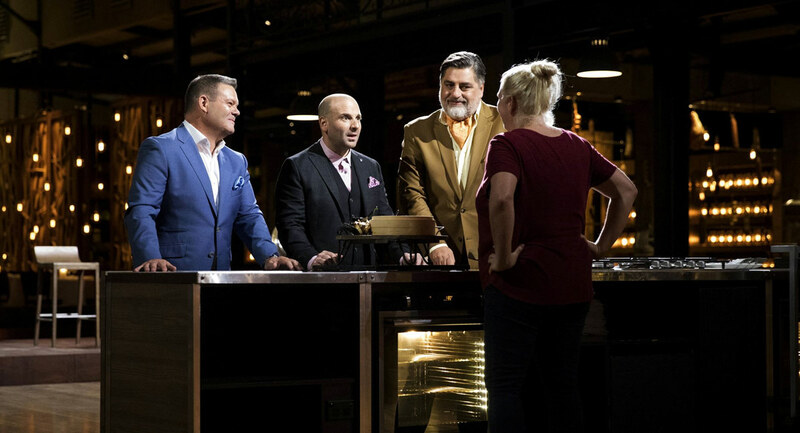 Queensland coffee roaster Brett McGrath subsequently became the first contestant eliminated from the MasterChef Australia kitchen. The episode did 835,000, giving it a top five finish and ranking it the most-watched show after the Seven and Nine 6pm News. The final episode of the first season of Show Me The Movie! then did 422,000 as the channel moved to renew the production for more episodes. (See separate announcement today). Law & Order: SVU then did 236,000. The Opposition Budget Reply got the 7.30 slot with 410,000 watching followed by 7.30 at 8pm with 362,000. The channel has interrupted its Budget coverage this week with royal family docos and last night viewers were offered a repeat of Diana: Designing a Princess with 312,000 watching. An episode of QI did 260,000 followed by Wentworth on 138,000. A 7.30pm food special Destination Flavour Eurovision with Adam Liaw did 148,000. 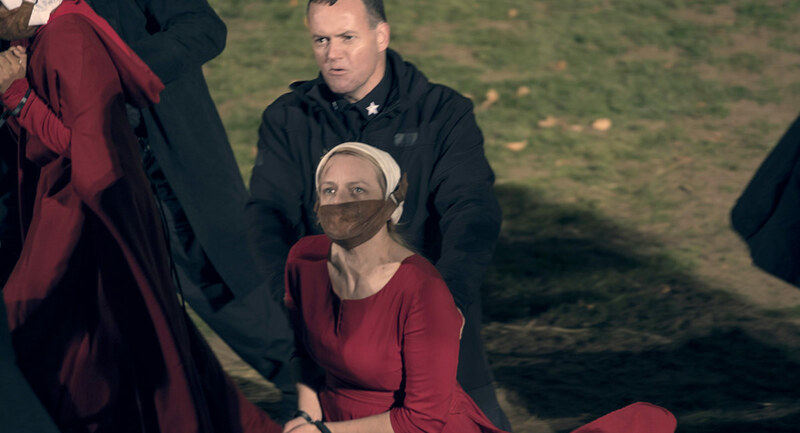 The numbers climbed to 216,000 for The Handmaid’s Tale. Holden Equinox is partnering with the 10th season of MasterChef Australia in 2018. Led by partnerships specialists at Lacuna Agency, the holistic campaign will include activity spanning in-show integration, a consumer promotion, bespoke content, digital and an experiential activation. The campaign kicks off with a consumer promotion inviting consumers to “watch and win” allowing Holden to then reconnect with the audience via a dedicated CRM program. Brand ambassadors Adam D’Sylva (executive chef and co-owner of Coda and Tonka restaurants) and Sara Oteri (MasterChef Australia Season 7) feature in a series of TVCs with a culinary bent, designed to especially resonate with the MasterChef Australia audience. In the show the Holden Equinox SUV features throughout the season and extends to an integrated episode, which will see ambassador Adam D’Sylva set a bespoke challenge. A national pop-up experience will launch on June 1 bringing a taste of the MasterChef Australia kitchen to people across Australia, alongside Holden’s newest SUV, the Holden Equinox. With activations in Sydney, Melbourne, Brisbane, Adelaide and Perth, the MasterChef Australia Holden Pop-Up Experience will feature recipes from previous seasons including dishes by D’Sylva and Oteri. The first activation will feature at the Melbourne Good Food and Wine Show and is an incredibly exciting opportunity for Holden to continue pushing the boundaries with partnerships. 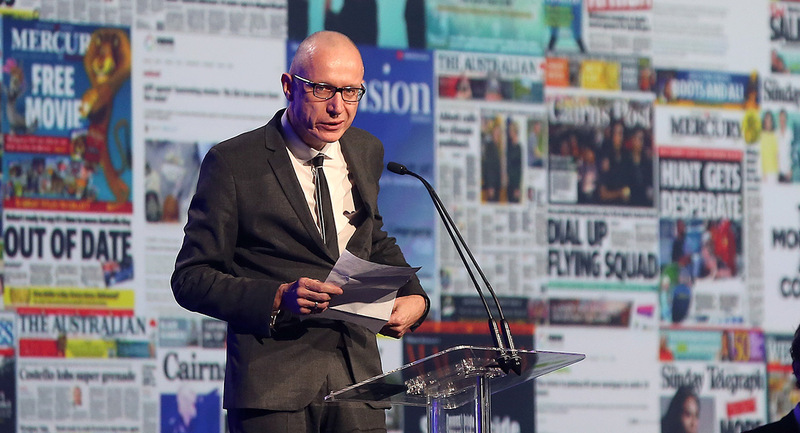 Gaven Morris, ABC director of news, analysis & investigations, spoke at a Melbourne Press Club event yesterday called The ABC of News in the Age of Fake. In ABC News, almost 96% of our annual budget of $202.4 million is spent on journalism and production. Since the mid-1980s, however, our funding has actually declined by 28% in real terms, while over the same period we have increased the number of services on which we serve Australians, including creating the ABC News TV channel and iview entirely from internal savings. Sky News Business reporter Leo Shanahan has been recognised at the National Press Club of Australia’s 2017 Westpac Excellence in Financial Journalism Awards. Shanahan has won the Global and Economic Reporting category for his breaking news coverage of the Commonwealth Bank of Australia (CBA) international transaction monitoring investigation. In a Sky News exclusive, Leo Shanahan obtained a confidential internal CBA report authored by the bank’s leading financial crime managers in February 2017. After working forensically through the report, the exclusive investigation for Sky News Business, which also appeared on the front page of The Australian, was the most significant break in the AUSTRAC scandal that has engulfed the CBA. 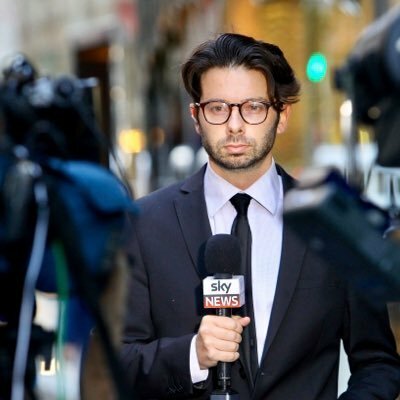 Shanahan is a business reporter for Sky News Business and Sky News Live, reporting nightly for the flagship business program Ticky. In 2017 Shanahan was the winner of the News Award for Scoop of the Year for breaking the introduction of the bank levy prior to the budget. His “Budget Bank Levy Exclusive” was also nominated that year for a Walkley Award and Kennedy Award in the category of Business Journalism. 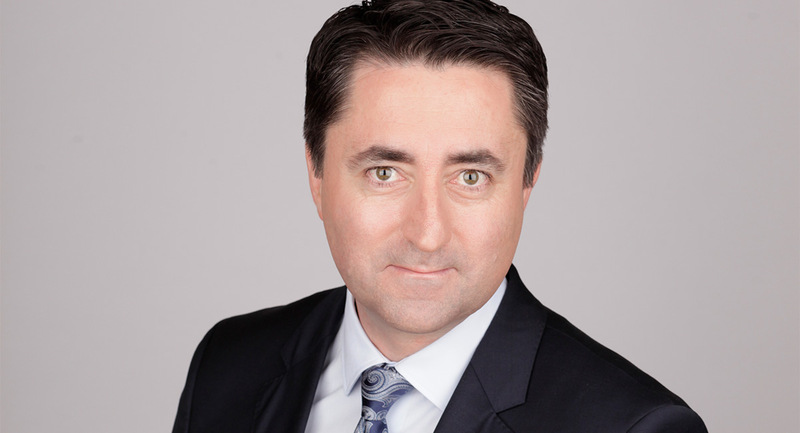 Previously he has also been nominated for the Kennedy Awards NSW Business Journalist of the Year and the News Awards business journalism award. 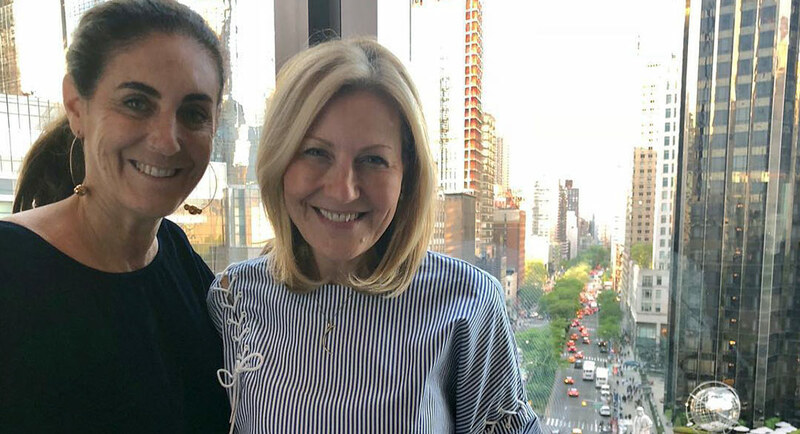 Recently departed Pacific general manager, fashion, beauty and health, Jackie Frank has started work in New York this week on a top secret project for Hearst, the home of many brands including marie claire, Harper’s Bazaar and Elle in the USA. Speaking to Mediaweek shortly after landing in the Big Apple, Frank said: “I was asked to do a freelance project for Hearst in the US. I am doing consultancy work, under my new company Be Frank Group. 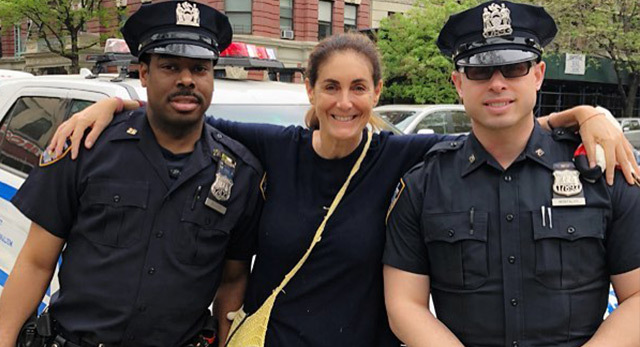 A farewell letter from her colleagues at Pacific described Jackie Frank as everything from passionate publisher, TV titan, fierce fashionista to relentless networker, office screamer, public crier, amazing mentor and badass boss. Later in the afternoon there was a formal send-off around 4pm with all the Pacific teams assembling from the magazines that Frank was general manager of – the titles that sit within the fashion, beauty and health division. There were quite a few tears as speakers included marie claire’s Nicky Briger and Better Homes & Gardens’ Julia Zaetta as well as a few words too from Frank. Producer/director Robbie Weekes, best known for co-creating Countdown, has died, reports TV Tonight. Weekes created Countdown together with producer Michael Shrimpton in 1974, hiring music journalist Ian “Molly” Meldrum as talent coordinator. The show produced live in Ripponlea studios is widely regarded as changing the face of Australian music, with Weekes directing hundreds, if not thousands, of music performances. Weekes had been a director for ATV0 and ABC on shows including The Magic Circle Club, Kommotion, Happening ’70, Ted Hamilton’s New Wave, The Barry Crocker Show and That’s Dancin’. TEN renews Hughesy, We Have A Problem and Show Me The Movie! 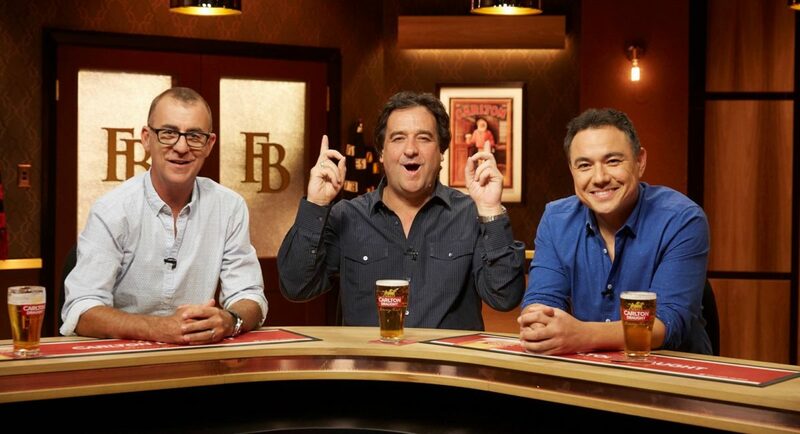 Network Ten had good news this week for Banijay’s Screentime and Paul Clarke and Roadshow’s Blink TV as it announced new seasons of Hughesy, We Have A Problem and Show Me The Movie! had been commissioned. The final episodes of the first series of both programs were screened this week. Hosted by Dave Hughes and produced for Network Ten by Screentime, Hughesy, We Have A Problem has increased TEN’s audience in its timeslot by 45% in people 25-54 and 41% in under 55s since its January launch. 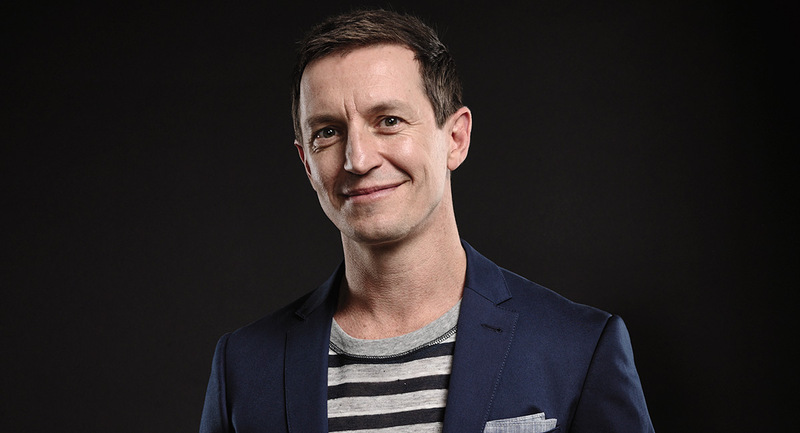 Guests in the first season including Peter Helliar, Julia Morris, Kate Langbroek, Dave Thornton, Ross Noble, Fiona O’Loughlin, Merrick Watts, Luke McGregor and Judith Lucy have solved the problems of everyday Australians – and invariably Hughesy’s many personal problems. Network Ten chief content officer Beverley McGarvey said: “Last year we made a commitment to significantly increase the amount of original comedy on TEN. 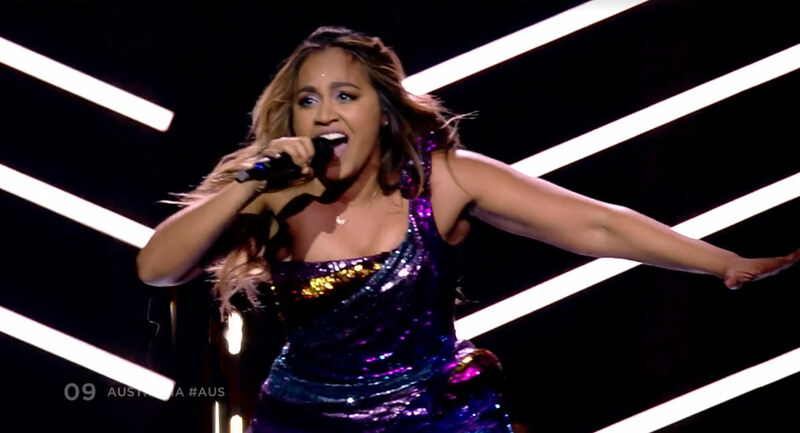 After an impressive performance this morning during the second Eurovision semifinal, Jessica Mauboy has qualified for Sunday’s Eurovision final. The final result this morning was determined by a combination of televoting and professional jury results. The televote took place during the broadcast of the live show, and the jury cast their vote after watching the second dress rehearsal held on May 10. The 10 chosen finalists from the second semifinal will participate in the Grand Final this Saturday alongside the 10 countries that qualified from the first semifinal, as well as the Big Five and host country Portugal. Russia was the biggest shock in semifinal when it failed to qualify for the grand final. It was the first time Russia failed to qualify in 20 years, although it did not take part in 2017 when the competition was held in the Ukraine. Poland also failed to qualify as did Romania, San Marino, Georgia, Malta, Latvia and Montenegro. Superstar Olivia Newton-John has “made peace” with Channel 7’s ONJ telemovie – but says she won’t watch it until 2019, reports News Corp’s Nui Te Koha. However, Newton-John, in Melbourne to announce on Friday new initiatives for her annual Wellness Walk and Research Run, said she’s “made peace” with the two-part telemovie. The Voice is not a music show, writes The Daily Telegraph’s Cameron Adams. The show is a major payday if you’re a judge or a TV network, but music makes up a very small component of the show. Maybe 20 minutes of a two-hour show is actual singing. You know, hearing the voice. And that’s being generous. It’s very rare a contestant gets to sing an entire song, rather a truncated 90-second version. But the judges get up to four or five minutes to discuss that bite-sized performance. The Voice’s most famous winner, Karise Eden, wasn’t built for the fame that came from being on the show’s first season. She now deliberately plays tiny venues and hasn’t had an album out in four years. Some of the contestants who were thirsty for fame soon realised that they’re expendable once there’s a new year and a new series of contestants ready to get their 90 seconds of fame. The Voice’s only major success story is Vera Blue, who had to change her name (from Celia Pavey) and her sound to get on Triple J and regain the cred that instantly evaporates by going on reality TV.